Few things are more rewarding for graduate engineering students at Oregon State than a research partnership with a national laboratory. The highly motivated students who come to these facilities combine ambition and hard work with unique mentoring opportunities and access to the world’s most advanced scientific equipment, including supercomputers and particle accelerators. The U.S. Department of Energy has 17 national labs scattered across the United States. These facilities are dedicated to finding innovative solutions to the world’s most urgent scientific challenges. Ryan Frederick, a Ph.D. student in chemical engineering, used this scanning tunneling microscope system at the Pacific Northwest National Laboratory to study titanium dioxide clusters on graphene. Ryan Frederick, a Ph.D. candidate in chemical engineering, spent last summer working at the national lab under Dohnalek’s supervision. His research aims at developing next-generation materials for the electronics industry — specifically, better photoresists based on inorganic metal oxide clusters. Frederick’s project involved studying the growth of titanium dioxide clusters on graphene, which required him to become proficient in a technique called scanning tunneling microscopy. The timing couldn’t have been better; Oregon State is about to acquire a new scanning tunneling microscopy system, and Frederick has been tapped to help bring the instrument online. “I now have a lot of experience with the technique, so I can help bring the new system to the university and train people to use it,” said Frederick. 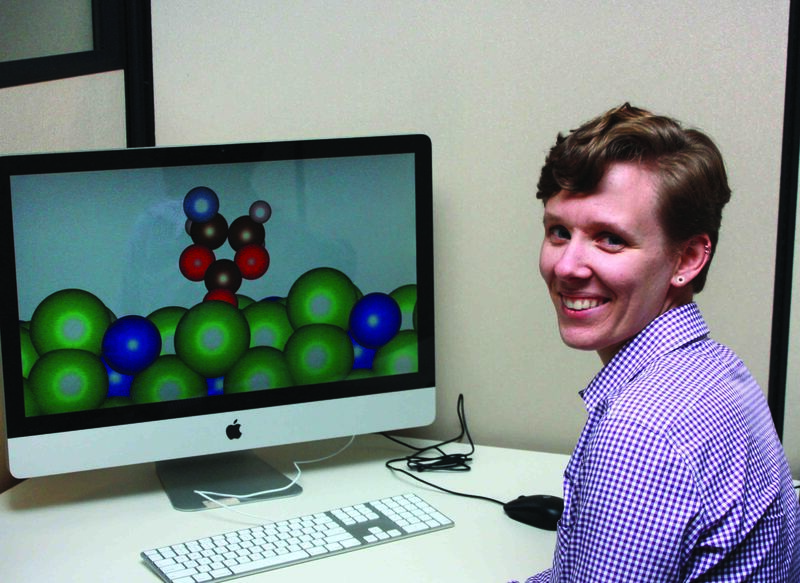 Lynza Sprowl, a Ph.D. student in chemical engineering, uses a supercomputer at the Argonne National Lab to perform computational molecular studies on battery anode chemistries. Lynza Sprowl, who is also pursuing a Ph.D. in chemical engineering, is spending an entire year working in the Center for Nanoscale Materials at Argonne National Laboratory near Chicago. Sprowl focuses on the future of energy, particularly battery and fuel cell technologies. Her doctoral research delves into surface interactions that drive the chemical processes of catalysis and corrosion. Sprowl’s work at Argonne, supported by the Department of Energy’s Office of Science Graduate Student Research program, involves modeling these interactions on a giant supercomputer. The national lab’s supercomputing resources enable Sprowl to accumulate data in a fraction of the time it would take back home. She’ll also have access to some of the best minds in her field. 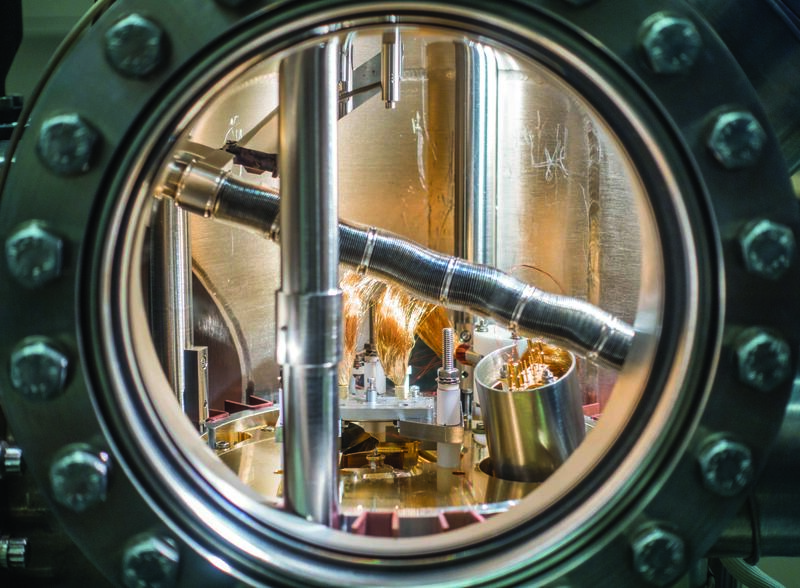 Argonne is also home to the Advanced Photon Source, a facility that generates a massive beam of high-energy synchrotron X-rays used in various types of research. The beamline is divided among dozens of workstations. Each is occupied continuously, as investigators from around the country apply for “beam time” months in advance. Environmental engineering master’s students Doug Meisenheimer and Rebecca Paustian have each made trips out to the synchrotron, where they use a technique called X-ray microtomography (micro-CT) to construct high-resolution 3-D images of multi-phase fluid flow through porous media. The technique enables them to, for example, track the movement of water, oil, and air through a sandstone aquifer. This type of research is instrumental in improving technologies for oil recovery and decontamination of drinking water reservoirs. Doug Meiseheimer in environmental engineering used X-ray microtomography at the Argonne National Lab to construct high-resolution 3-D images of fluid flow through porous media. The technique applies to fluids such as water and oil in sand, gravel and rock. The micro-CT workstations at Argonne are set up only three times a year, and the demand for beam time is so great that it is doled out in 48-hour increments. The tight scheduling leaves little margin for error, and there is intense pressure to make every moment count. In one 48-hour stint, the team can generate upwards of 2.5 terabytes of data, the equivalent of 100 Blu-Ray discs, full of high-resolution 3-D images. 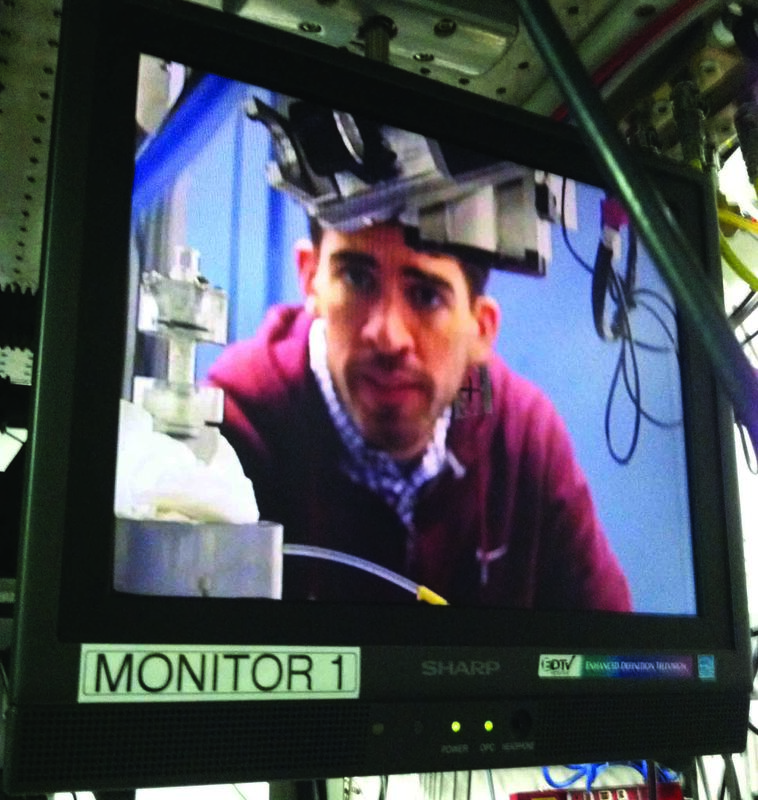 The intensive, immersive environment at the synchrotron instills students with increased focus and clarity. “Condensing the project into such a short time period helped me learn quickly,” said Paustian. See this and other stories about research partnerships in the fall 2017 issue of Momentum from the College of Engineering.